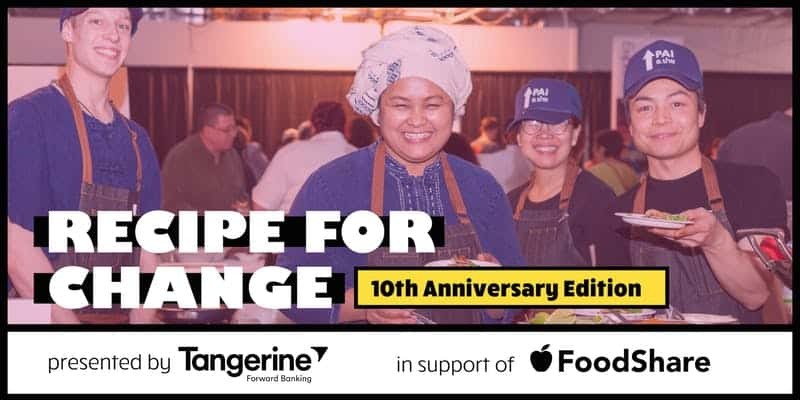 We love this annual feel-good, do-good, taste-good foodie extravaganza for so many reasons, and this year we’re extra excited to celebrate the tenth anniversary of Recipe For Change by recognizing the talents and hard work from some of Toronto’s top female chefs of colour. Happening on Thursday, February 21st at The Globe and Mail Centre (351 King Street East), this year’s delicious affair, sponsored by Tangerine, will bring together over thirty female chefs of colour, breweries, and winemakers. Wander around and taste it all! Honestly, this is such a welcoming, chill, and fantastic way to savour a gorgeous variety of culinary delights, while also supporting food security in our city. Here are ten very good reasons why you should attend Recipe For Change’s tenth anniversary! FoodShare is Canada’s largest food security organization and reaches over 250,000 Torontonians with vital food access and education initiatives. At this event, you’ll have an opportunity to taste dishes from over thirty local female chefs. The silent auction is amazing, and it’s always full of fun prizes, from foodie gifts to one-of-a-kind Toronto experiences. The people! Recipe For Change is a wonderful way to connect with the people behind the food & drink. Ask questions about their dishes, their offerings! Most of the chefs will be the ones serving you deliciousness straight from the pot. FoodShare believes that everyone in this city deserves access to fresh, high-quality food. We wholeheartedly believe in their mission, and attending Recipe For Change is one way we can help them achieve their goals. Male chefs get a ton of exposure in this town! Many of us can likely name a few off the top of our head. But how many of us can name ten female chefs of colour? Exactly. This event will help you get to know leaders in this industry who are rarely given a spotlight. February is still a pretty cold and dark month. We guarantee that Recipe For Change will fill you with positive, warm vibes (especially if you reach for dish with some exquisite aromatic spice). We love that FoodShare values student nutrition, supporting 750 healthy breakfast, morning meal, snack and lunch programs every school year. That’s HUGE. We haven’t been inside The Globe and Mail Centre yet, have you? We’re excited to snoop around the building and check out city views. 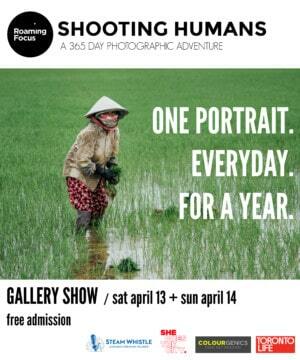 Because a tenth anniversary is something to celebrate! Recipe For Change is always a satisfying evening for foodies, but it also gets ten out of ten for community spirit. It’s an occasion that will undoubtedly fill your belly and heart with love. Early bird tickets are sold out, but you can still grab a $135 general admission ticket that includes all the food and drink you desire. Arrive early, stay late. Take it all in, and support important food programs that benefit many in our city.